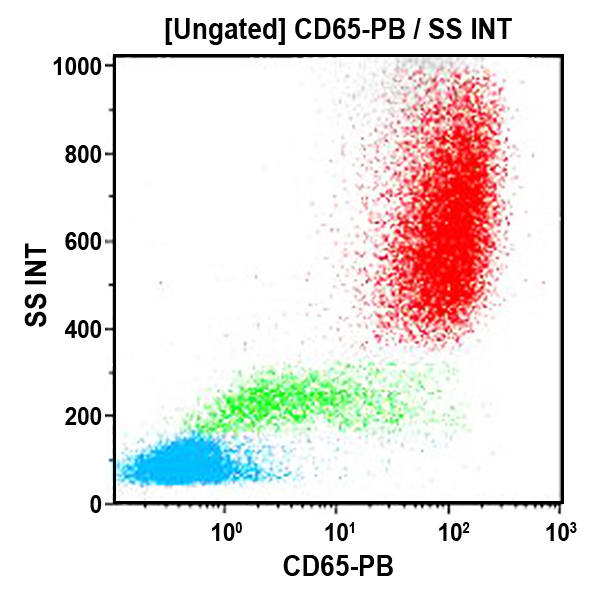 The CD65 antigen is analogous to the carbohydrate structure(s) recognized by CD15 antibodies. It is a type II chain fucoganglioside involving the oligosaccharide sequence : Galβ1 - 4GlcNacβ1 - 3Galβ1 - 4GlcNac(Fucα1-3)β1 - R. Granulocytes are CD65 positive and monocytes are weakly positive. It does not react with T and B lymphocytes. *Alexa Fluor and Pacific Blue are registered trademarks of Molecular Probes, Inc.
Clone Description 88H7 antibody was re-assigned from the CD65s to the CD65 cluster during HLDA 6.